The closest I’ve ever come to celebrating a traditional Valentine’s Day was the year I had a crush on Dominick. We were in kindergarten. He gave me two pieces of gum, while everyone else got just one. Ah … the blissful days of innocent love. I don’t care to count the Valentine’s Days that have come and gone. There were the infatuated obsessions that marked my middle school years. As a college sophomore, I wore all black in protest of the love-struck holiday. A short-lived office romance defined my dating life as a 20-something. In recent years, I’ve made a point to send care packages filled with chocolate kisses to my nieces and nephews – smothering them with sugar to the dismay of their loving parents! Several years ago, I gave up dating all together – a decision over which I have no regrets. I will be single for Valentine’s Day again this year. And it will be glorious! I’m not waiting to get married, not hoping to get hitched, not on the prowl for someone else to satisfy my needs. I don’t miss the days of being absorbed in a never-ending pursuit of a life partner. My best friend has an on-again-off-again relationship with eHarmony. She subscribes for a few months, goes out on a handful of dates, becomes frustrated with the process and the prospects, then suspends her subscription. A few months later, as her social life wanes, she invariably signs up again. When did we become convinced that finding “our-other-half” would complete the picture of happiness? I believe that being single can be incredibly fulfilling. My life is filled with the love of friends, the admiration of my students, the fellowship of colleagues, and the fidelity of a large extended family. My life is not lacking in any way. I spend my free time writing, reading, hanging out with friends. I have season tickets to the theatre. I go to the gym. I sometimes wonder if I’m too busy for a boyfriend! Sure, it would be nice to have someone to cuddle under the covers with on a cold winter night. Being single certainly is not without its lonely moments. But I also believe that the single life is not without love. Last weekend, I dropped by a birthday party for a friend. I arrived late and stayed well past my bedtime. As we cleared the table of crusty salsa and stale cupcakes, my friend shared her most recent resentments against her mother. I talked about my latest go-around with a coworker. We grappled with the challenges of forgiveness and the necessity of making amends. Together we made meaning out of the darker moments of life. As I stood at the threshold of her apartment, coat in hand, ready to leave, we embraced and exchanged a genuine “I love you, friend”. For me, that is the definition of intimacy, the marker of true love. Who is that special someone that knows you like no one else, and accepts you for who you are? Who holds onto your darkest secrets and deepest hurts, embraces your greatest longings and most daunting fears, shares your most abundant joy, and creates moments that make you laugh and cry at the same time? Love arrives in many different packages. 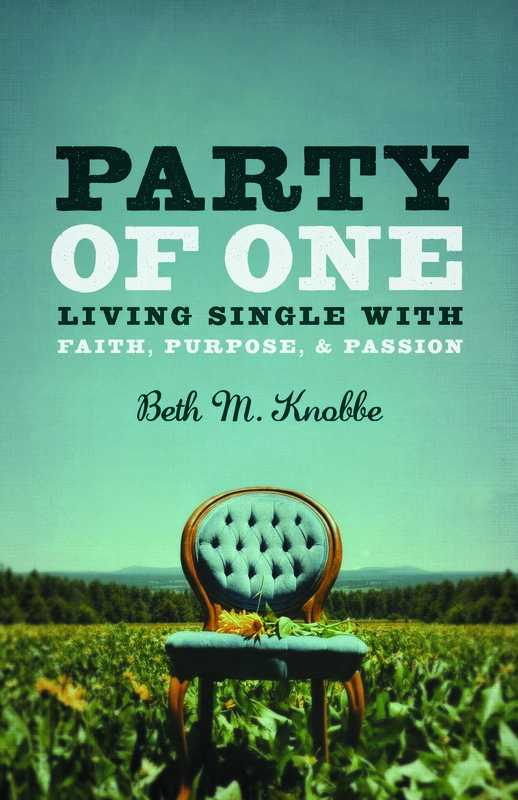 My love finds its way into the world as a single woman in the presence of her friends. Discovering the joy of being single is a Valentine’s Day truly worth celebrating.